It can be extremely challenging to unravel the mysteries of Earth’s past climate changes, but it’s more vital than ever that we understand what triggered major shifts in the past. After all, humanity is altering the planet in unfathomable ways. Climate scientists think they might have solved one particularly perplexing mystery. Thanks to some ancient shells, we may finally know what caused a chilly period called the Younger Dryas. The Younger Dryas occurred around 13,000 years ago when the last ice age was beginning to ebb. Global temperature was on the upswing, and sea levels were rising. Suddenly, the northern hemisphere cooled again and stayed icy for another thousand years. The team of researchers from Woods Hole Oceanographic Institution, the University of California-San Diego, and Oregon State University point the finger squarely at glacial meltwater. According to the theory advanced in a new paper, freshwater runoff from glaciers in the northern hemisphere flowed into the oceans as the ice age ended. The massive influx of freshwater from the arctic interrupted the Atlantic meridional overturning circulation (AMOC), which altered global climate. The result was substantial cooling across much of Europe and North America. The team arrived at this conclusion by studying small shells from the same era called foraminifera. Specifically, the oxygen content of those shells tipped off scientists that glacial melting was somehow involved. More than 99 percent of the oxygen on Earth is in a form known as oxygen-16. Oxygen-18 has two more neutrons and is the next most common isotope. Because oxygen-16 is lighter, it evaporates faster and is more likely to fall as snow in the northern latitudes than oxygen-18. As you would expect, the ratio of oxygen-18 is lower in glaciers. The ratio of oxygen-18 in the foraminifera analyzed by the team was also lower than the global background. Glacial lakes at the end of the last ice age. 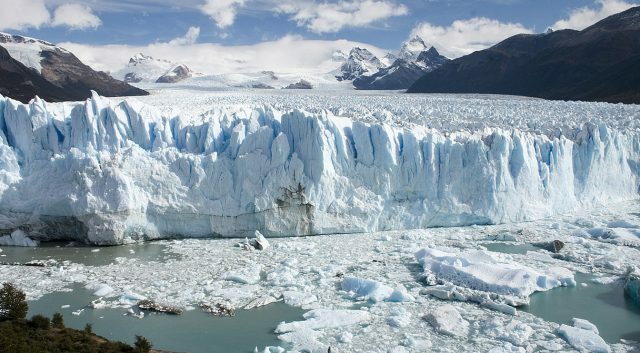 The researchers say that points to a substantial influx of water from glacial melting. They suspect the source of the water was the Laurentide ice sheet that covered North America. To a certain point, that water would drain through the Mississippi basin, but we’re talking about a lot of water. After building up in massive glacial lakes, the flow of water was reversed, channeling it into the open ocean. This is important information to have right now as the climate warms and glaciers melt. There are even some indications that the AMOC is weakening again. Scientists don’t think another breakdown of the ocean currents is going to happen overnight, but you never know.